The new season of Orange is the New Black is finally here, and Red continues to be a loyal fan. 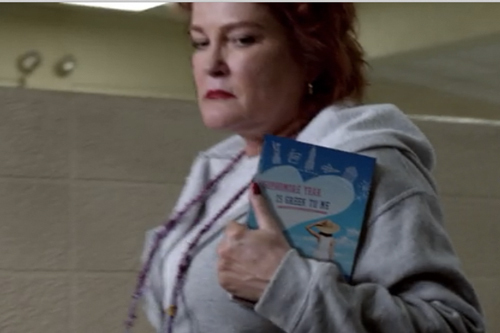 In episode two, she shows off her latest book… Sophomore Year is Greek to Me!! Check it out! Pretty cool, huh?